Just A Rock Wall or Buried History? 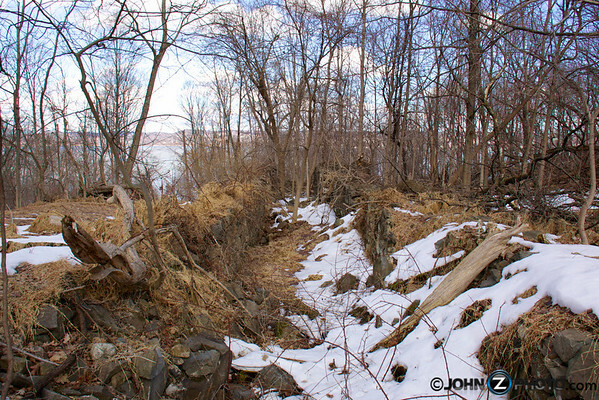 In a previous post, I talked about how I was fascinated with the abandoned tunnels in “a walk at Nyack Beach State Park.” What I didn’t mention is something else I saw that day. 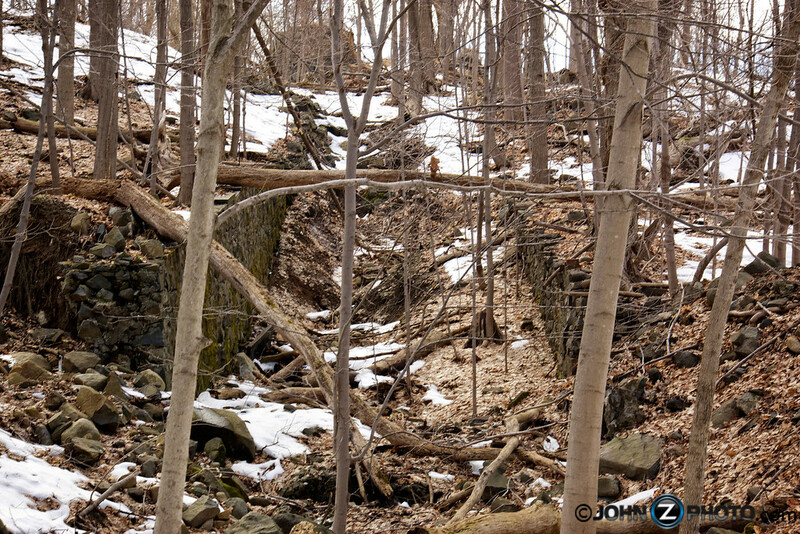 While walking toward the northern end of the trail I noticed what looked like a rock wall just off the trail in the woods. What was this rock wall? There are all sorts of rock walls in the area, but something about this one really caught my eye. 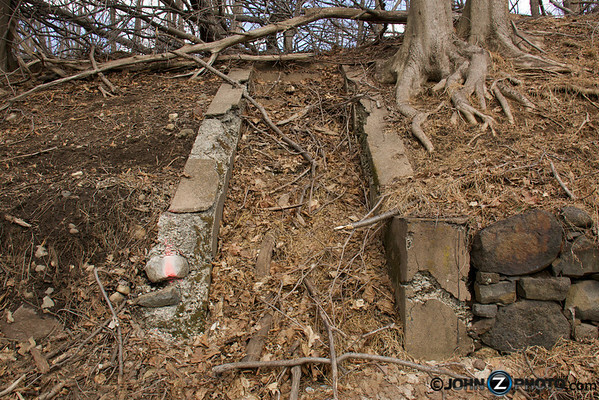 It looked as if there were two walls about ten feet apart running down the side of the mountain. 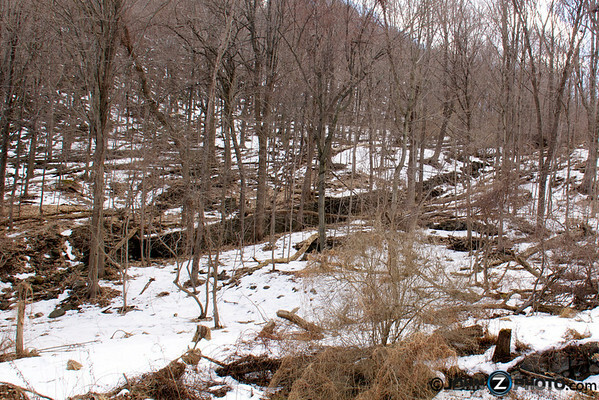 After I went home I began researching what was in that area to see what these old rocks could have possibly been. It wasn’t long before I figured out exactly what it was. I had to go back and take some photos. I was looking at the remains of an old ice railway…. A what?? 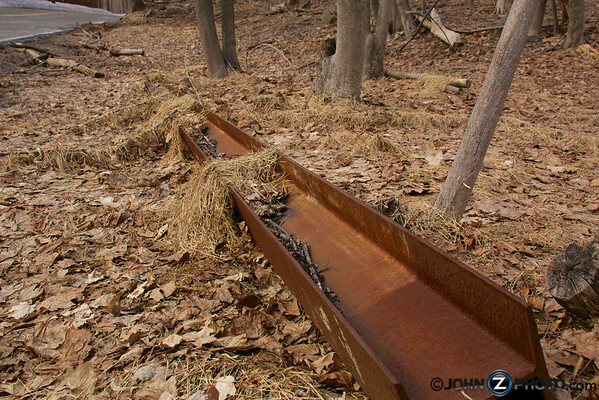 It was an ice railroad that once ran down the side of the mountain. Old Picture of an Ice Chute used to deliver blocks of Ice to waiting barges. Photo shown at http://www.rocklandlakeandhookmt.org. Ok….I’ll explain. 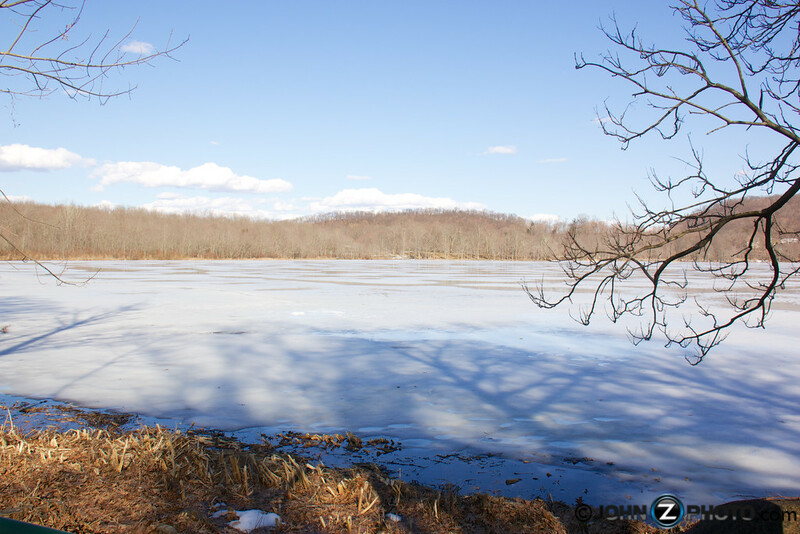 Back before everyone had an electric refrigerator and freezer in their home, it was not so easy to keep things cold, so in the cold months, ice was harvested from frozen lakes. At the top of this mountain in the Palisades lies Rockland Lake. 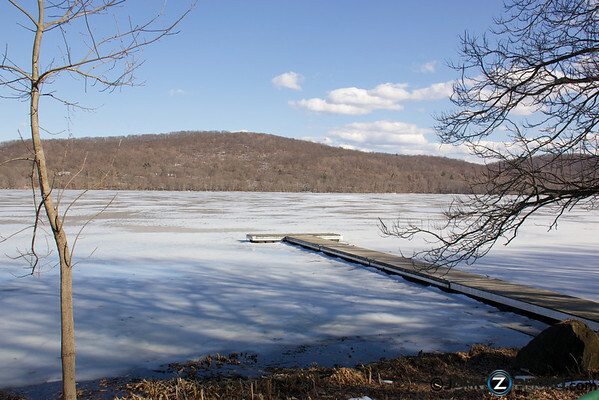 Rockland Lake Located in Congers, NY. From the 1830’s to the 1920’s, when the lake froze, giant ice blocks were cut and stored in large insulated ice houses on the lake. I actually found old film footage taken by Thomas Edison in 1898 and 1902 of the harvesting process. The ice was then put into railcars at the top of the mountain and sent flying down to the bottom where it was loaded onto barges and shipped to New York City and other locations. 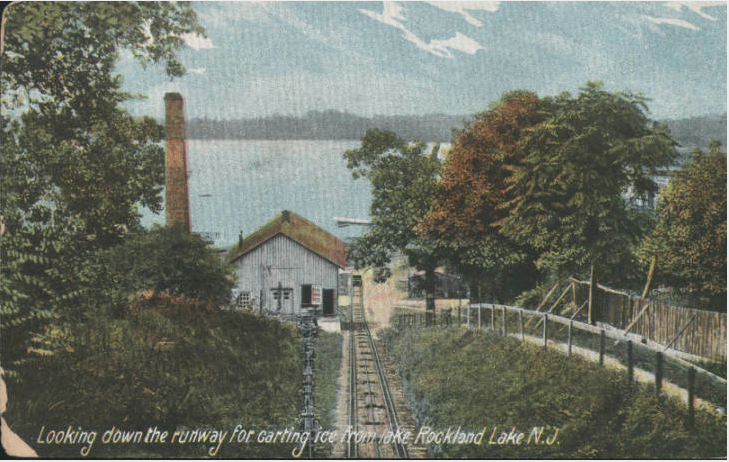 With the invention of the modern refrigerator the Rockland Lake ice industry shut its doors in 1924. An article at http://www.Knickerbockericefestival.com describes what happened next. 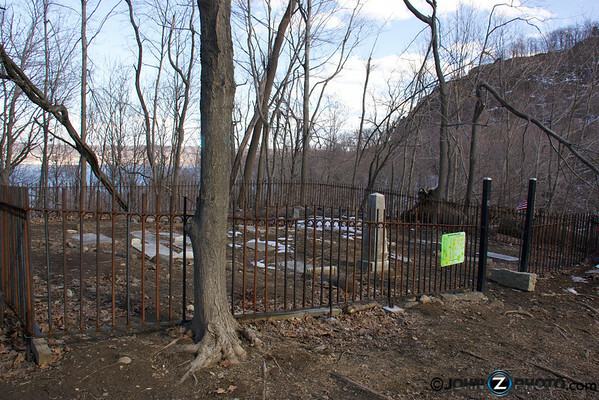 Across from the remains of the ice railroad and just up a hill lies the Wells Family burial ground. The Wells family were part owners of the Knickerbocker Ice Company as well as one of the rock quarries. While there were several old head stones dating back to the mid 1800’s, there was one in particular that was very puzzling. 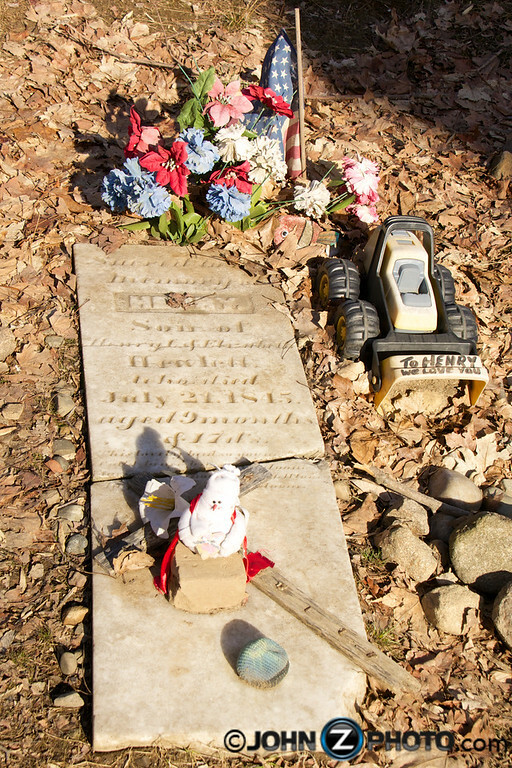 This is the headstone of Henry Hewlett who died in 1845, however, someone is still leaving toys for him including a toy truck with the words, “To Henry We Love You.” Who could possibly be leaving toys for a person who died over 160 years ago. While there are still private residents of Rockland Lake, there are constant reminders of a once thriving community. 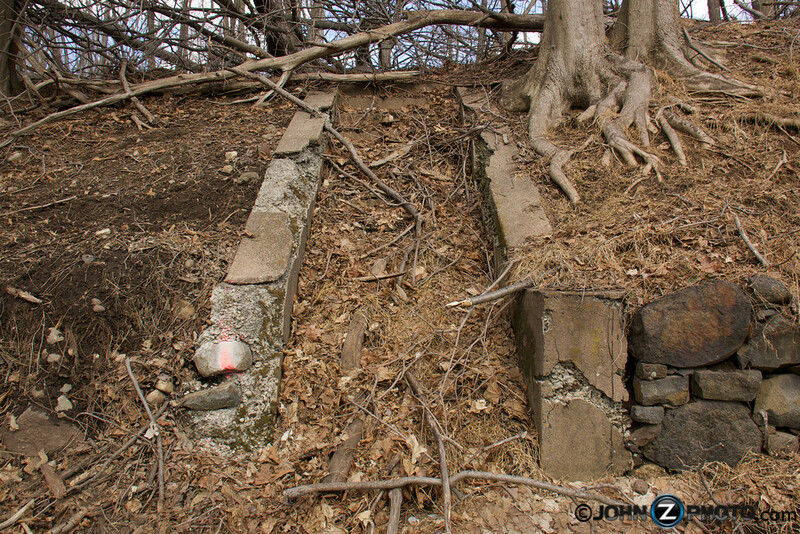 These stairs once led to a house or building that is no longer there. Only the foundation remains. 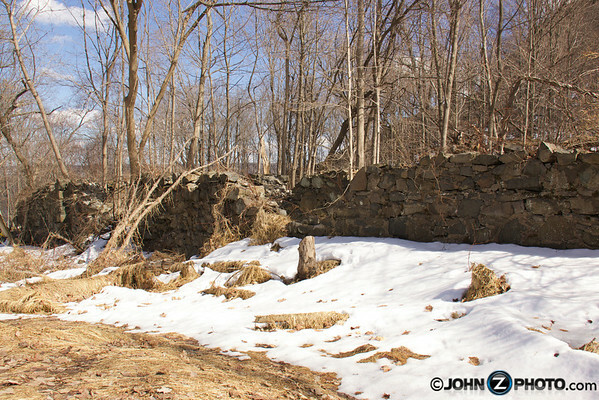 The ice houses may be gone, and many of the remaining houses are now abandoned, but the history will always live on. 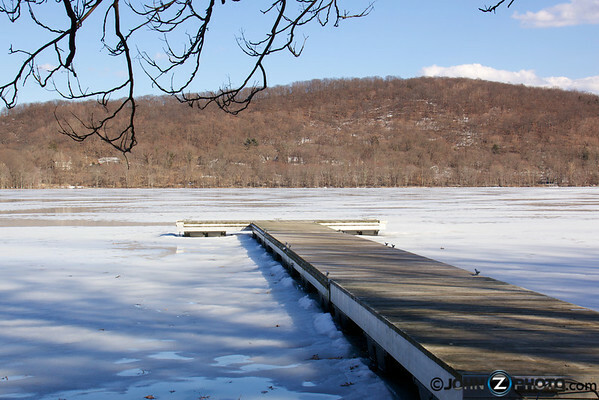 Rockland Lake is now a state park with a golf corse, olympic size swimming pool, and they even host the annual Knickerbocker Ice Festival to keep the history of the area alive. 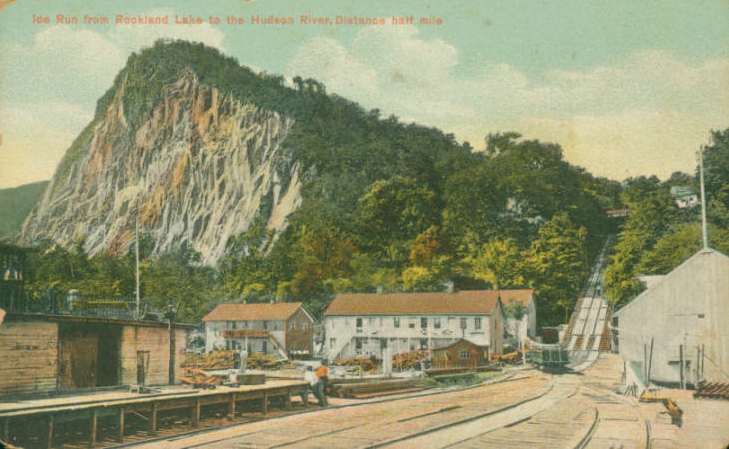 I recommend that anyone interested in learning more about the history of Rockland Lake, Hook Mountain, and Nyack Beach purchase an excellent new book written by a current Rockland Lake resident Robert C. Maher Jr. who’s family has been in the area for more than 170 years. Click here to see some of the other photos I took that day. 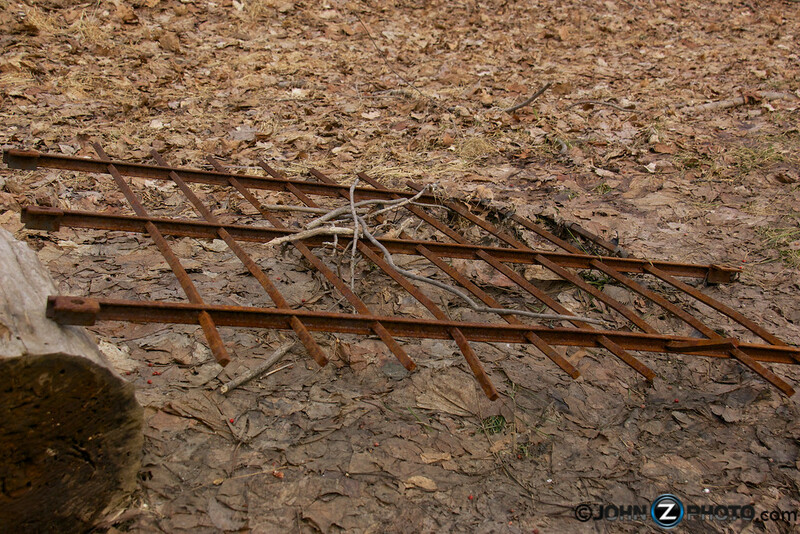 This entry was posted in Abandoned, History, Nature, Nature Walks, Photography, Ruins and tagged Abandoned, American History, Congers New York, Historical Ruins, History, Hook Mountain, Ice Harvesting, Knickerbocker, New York History, Nyack Beach State Park, Palisades, Palisades Interstate Park Commission, Rockland Lake, Rockland Lake History, Rockland Lake State Park, The Icehouse of New York City. Bookmark the permalink.